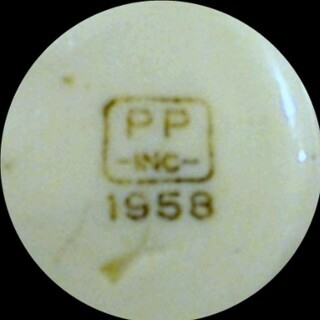 Porcelain Insulators > 1958 PP Inc.
Bought 5 great porcelain signals at the St. Joseph, Missouri show. This is a date mark (1958) that I didn't know existed, I only have dates up to 1957. Also the stamping is considerably smaller and a much more refined stamp, all the other date stamps are very crude compared to this one and nearly twice the size.